Fox Animation, Chernin Entertainment and Blue Sky Studios have announced the voice casting for their upcoming animated film Spies In Disguise. The studio has brought on Will Smith and Tom Holland to lead the voice cast as Lance and Walter in this animated comedy, while also releasing the first two photos featuring each of these characters. It's unclear at this time if the studio will be announcing any further voice cast members for this new project in the near future. Spies In Disguise is a buddy comedy set in the high octane globe-trotting world of international espionage. Will Smith (Men in Black) voices Lance Sterling, the world's most awesome spy. Cool, charming and super-skilled, saving the world is his occupation. And nobody does it better. Almost the exact opposite of Lance is Walter, voiced by Tom Holland (Spider-Man: Homecoming). Walter is a great mind but perhaps not a great socializer. What he lacks in social skills though, he makes up for in smarts and invention: Walter is the scientific genius who invents the gadgets Lance uses on his missions. But when events take an unexpected turn, Walter and Lance suddenly have to rely on each other in a whole new way. And if this odd couple can't learn to work as a team, the whole world is in peril. Directed by Nick Bruno & Troy Quane, Spies In Disguise is a Fox Animation production, with Blue Sky Studios and Chernin Entertainment. The project is based on Pigeon: Impossible, an original animated short film by Lucas Martell. Spies In Disguise hits theaters everywhere on January 18, 2019, which, as of now, puts it up against the Split and Unbreakable sequel entitled Glass, along with another animated movie, Open Road Films' Playmobil. 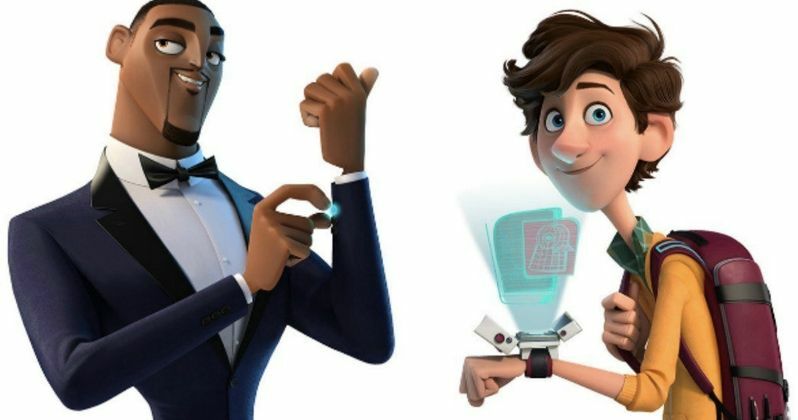 Both Nick Bruno and Troy Quane are making their directorial debuts with Spies In Disguise, but they are certainly no stranger to the world of animation. Nick Bruno got his start more than a decade ago as an animator on 20th Century Fox's animated sequel from 2006, Ice Age: The Meltdown. He went on to work as an animation character for The Whos on Horton Hears a Who, before moving up as a senior animator on Ice Age: Dawn of Dinosaurs and Rio, and a supervising animator on Ice Age: Continental Drift and The Peanuts Movie, which he also served as an assistant story artist on. Troy Quane also got his start as an animator, working on films such as Osmosis Jones, Eight Crazy Nights, Titan A.E., 101 Dalmatians 2: Patch's London Adventure, Curious George and The Wild. He has also served as a storyboard artist on films such as Enchanted, 9, Arthur Christmas, Hotel Transylvania, The Peanuts Movie, The Peanuts Movie, Ice Age: Collision Course and the upcoming 20th Century Fox animated movie Ferdinand. Take a look at the first two photos from Spies In Disguise below.